It’s not just traffic that gets delayed by level crossings. 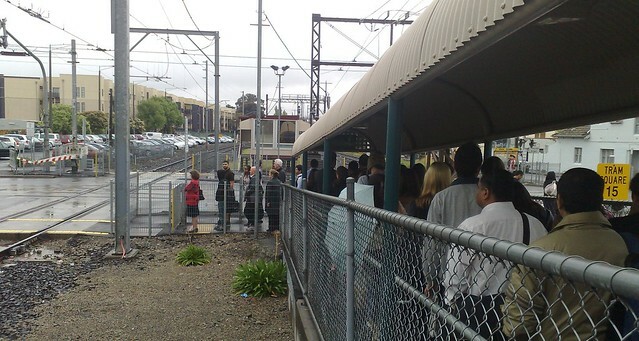 Pedestrians, including train passengers, sometimes have to wait long periods for trains to pass. Often for those trying to enter stations, it can mean the difference between making the train and missing it… never a problem at stations where the level crossing has been grade-separated. PT Problem of the Day: Whose bright idea was it to shut the Sydenham line on Grand Prix weekend?